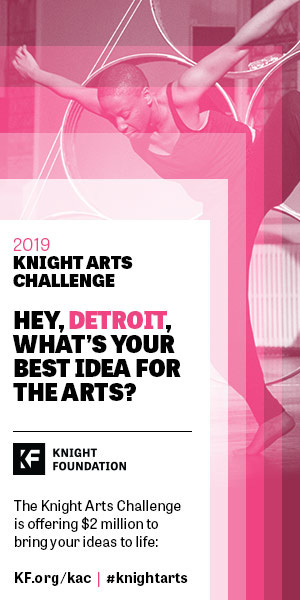 On Wednesday, February 28th, roughly thirty middle school girls from the Detroit International Academy for Young Women, assembled in their school’s auditorium for a surprise they won’t soon forget. 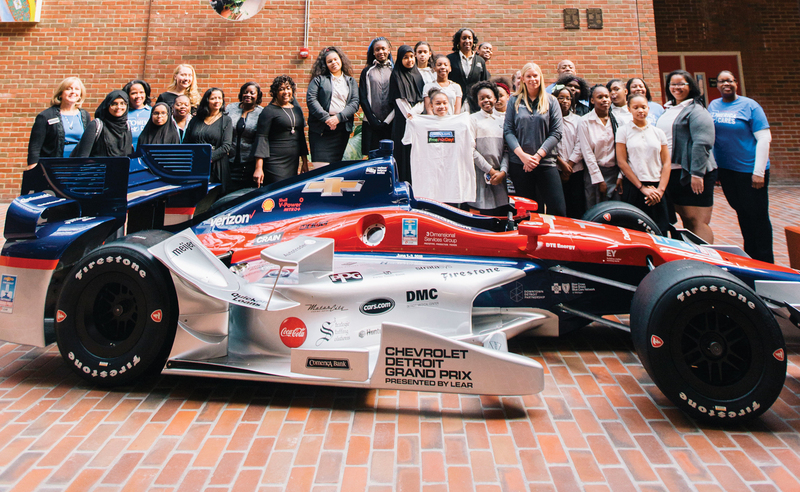 They had been told they were going to interact with a panel consisting of Comerica Bank senior vice president Monica Martinez, chairman of the Chevrolet Detroit Grand Prix presented by Lear Bud Denker, and International Motor Sports Association champion race car driver Christina Nielsen. The students were not aware, however, that they were also being invited on an exclusive field trip to the Grand Prix in June to see STEM lessons applied to racing. The girls were also told that while they are at Belle Isle they will also visit Nielsen’s garage. “You’re gonna come to my team, and you’re gonna spend some time seeing what goes on behind the scenes, what our team does. I don’t want you to get discouraged by all the men because there’s a lot of men there,” said Nielsen, who knows firsthand how male-dominated this industry is having just become the first woman to win a major full-season sportscar championship in North America in 2016. 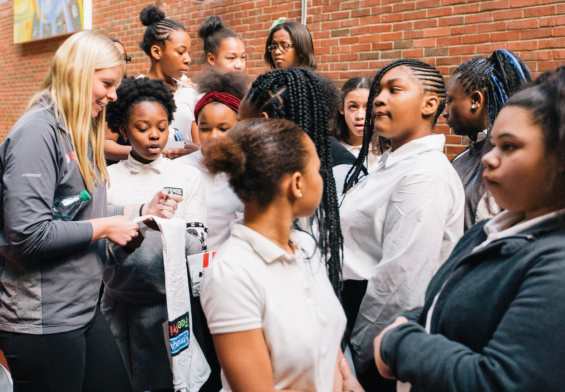 When the conversation steered to the importance of having role models, Nielsen wanted to impress upon the students that they have another strong female role model in Martinez. “You guys could also be in the future…representing a company that’s going to be so kind to sponsor this event. So, you’re going to bring this kind of representation [to] girls in the future,” said Nielsen. To shake things up a, the girls were also fired a few quiz questions by Denker such as, “If Christina’s racecar goes five miles-per-gallon and she has one and a half gallons in her tank, how many miles will she go?” After some hushed whispering and a few wrong answers, seven and a half was called and the girl who answered, as well as a few other girls who answered other questions correctly, was rewarded with a Verizon IndyCar Series die-cast model car. The assembly concluded with several girls from the robotics team, the Pink Panthers, presenting and demonstrating the award-winning robot they built from scratch, Ms. Packwoman. As they wrapped up with some final group photos, everyone was looking forward to June 1st when they would see Nielsen again, this time on her turf.